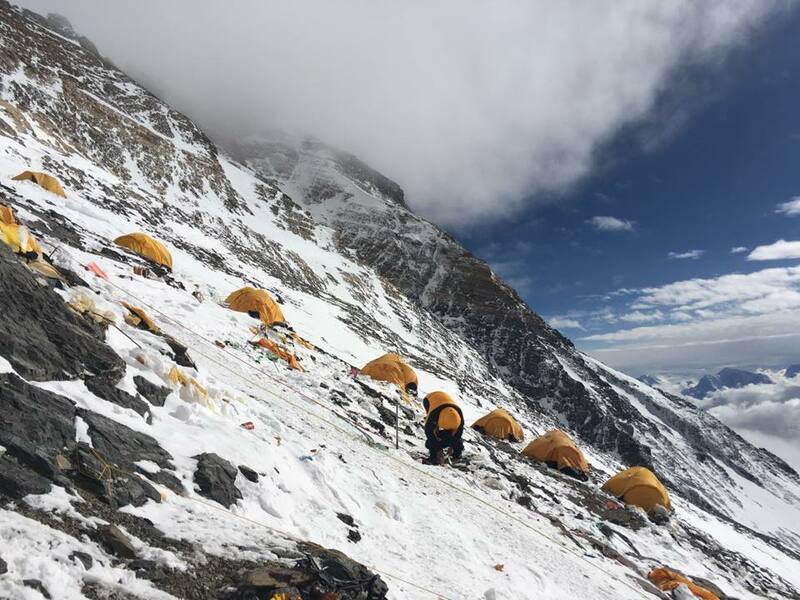 Final summit pushes are underway on Makalu, Everest and possibly Shisha Pangma. Meanwhile, there have been fatalities on Dhaulagiri, Everest and Lhotse. Spring 2016 climbing season will be ending in just over a week. 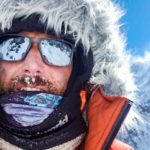 Final summit pushes are underway on Makalu, Everest and possibly Shisha Pangma. Meanwhile, there have been fatalities on Dhaulagiri, Everest and Lhotse. Hundreds of climbers summited Everest from Nepal side in second summit window – starting from May 19th. Summit attempts are still underway, as good weather holds. However, with so many people up there, casualties are inevitable. Dutch Eric Arnold and Australian lady Marisa Elizabeth Strydom died in C4 on Friday night and Saturday, respectively. A number of climbers have been rescued and heli-evacuated whereas some injured climbers are still stranded above C2. 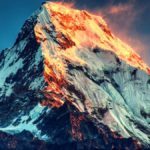 On Northside, first summits were reported on May 19th and dozens of climbers have topped out since then. 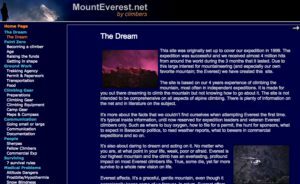 Several climbers including – Alex Barber, Thomas Lammle, Adrian Ballinger, Cory Richards, Esteban Mena and Carla Perez – who intend to climb without bottled oxygen are still ascending to C3 (8300m), for possible summit push on May 23rd and 24th. Strong wind is reported from Everest Northside, today. 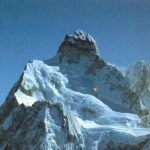 Despite hundreds of Everest ascent, it appears that summit of Lhotse hasn’t been reached yet. 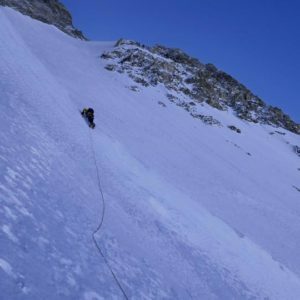 Rope fixing from C4 to summit was halted after a member of rope-fixing team, Ang Furba Sherpa, suffered a fatal fall on 19th. Some of Lhotse climbers are now going up, aiming to complete the rope-fixing and summit on May 24th. Second summit push is currently underway on the mountain, as climbers are on the way to C4 (7800m) today. They aim to reach the summit, tomorrow. 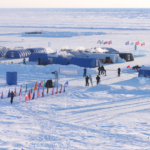 Strong wind was reported as team started the ascent from ABC a couple of days ago. However, weather seems stable now. Previously, four climbers, Parvaneh Kazemi, Nives Meroi, Romano Benet and a Sherpa, summited Makalu on May 12th. 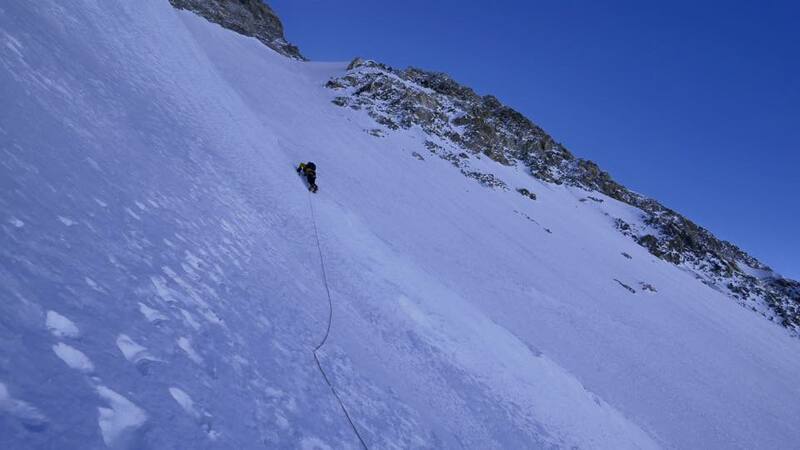 Climbing conditions on Cho Oyu were tough. Thomas Lammle made two summit attempts but didn’t reach the top. Nonetheless, at least thirteen climbers topped out on the mountain, this year. 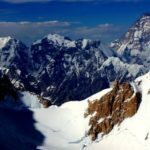 Four climbers reached the summit on May 17th. Nine others topped on May 14th and 15th. At least five climbers summited Dhaulagiri on May 19th. 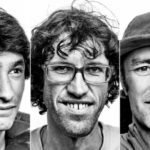 Alberto Zerain and Mariano Galvan were first to reach the top, followed by Indian climber Prasad Joshi, Dorjee Sherpa, and Tenzing Sherpa. Another Indian climber Rajib Bhattacharya (belonging to a different expedition), however, perished above C3. He was snowblind, exhausted and left unattended by accompanying Sherpa. Unfortunately, no attempts were made to rescue the climber. 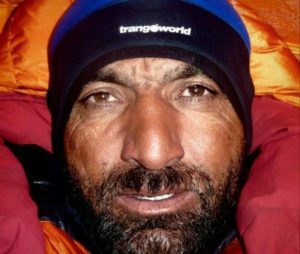 “At 11:30 am, when our team was returning back, they found Rajib lying alone (no Sherpa found) was in senseless condition (Not Dead! 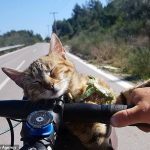 ), our team tried to serve him for a while. By noon, our team came back to Camp-3 and meet their Sherpa (Tashi of 7 summit) but they refused to rescue him back with that condition. It is unfortunate to digest that we didn’t not have the support to bring him back,” leader of Giripremi Indian expedition communicated with Indian Media. Earlier, first summit attempt on Dhaulagiri was thwarted at 7900m few days ago. Peter Hamor and Horia Colibasanu launched their Manaslu North Ridge attempt on May 17th. However, after a couple of bivouacs at 4700m and 4900m, they found the main wall in bad snow condition. With more bad weather and snow predicted, the two decided to abandon the summit-bid. Peter and Horia already summited Manaslu on May 10th via normal route. 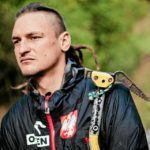 It was 13th eight-thousander for Slovak Peter Hamor. Only Dhaulagiri is missing from 14x8000ers. 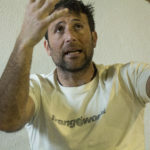 Ueli Steck and David Gottler were still waiting for good weather window on May 18th. The two climbers arrived at Shisha Pangma South BC a month ago. 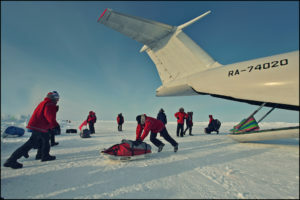 Their first summit push on new route was thwarted shortly after departure from ABC due to bad weather. Last week, they went up the mountain again for acclimatization. 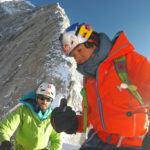 “We climbed up the face on an easy route to 7800m in a 10h push.” Given the good weather all around Himalayas these days, the duo may well have launched the summit attempt by now.